Arfa Software Technology Park, Ferozpur Road, Lahore, Pakistan. 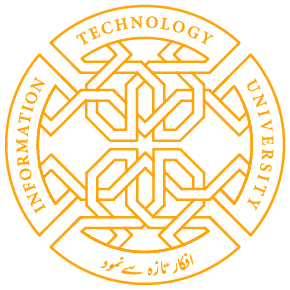 The ITU library is a multi-disciplinary library designed to serve the faculty, students, researchers and staff of the university. The library has a rich and diverse collection of materials, especially in terms of the breadth and depth of coverage. The collection is ideally suited to encourage and support both scholarly pursuits and practical research activities. The library employs state-of-the-art technology and systems, its collection is increasing exponentially; currently it houses over 5,000 printed and 80,000 electronic books, allows access to 35,000 electronic journals, and also has other materials including audios, videos, CD-ROMS, DVDs, etc. The library is managed by a blend of professional and para-professional staff who are all well qualified and experienced workers dedicated to providing high quality innovative services. The books and other reading materials are categorized into various sections according to the specific nature of the collections. The library uses the Dewey Decimal classification scheme to catalogue and shelve its knowledge resources. The Dewey Decimal system starts from 000 and goes up to 999 in decimal order. This is the main collection comprising high quality selective books related to the ITU academic programmes. The major areas are, Computer Sciences, Computer Engineering, Electronics, Humanities and Social Sciences. A significant number of current reference sources are available in the library. Various electronic databases including micro data-sets produced by various data gathering agencies are distinct feature of the collection. This collection also contains dictionaries, encyclopedias, handbooks, yearbooks, atlases and bibliographies. The library has a collection of course reserves offered during last ten years. These course reserves have been developed by the faculty to fulfill the textual/course needs of the students. Soft format of these course reserves are also available on ITU portal. The library has access to a wide range of electronic resources including e-databases, access to more than 35,000 e-journals and e-books accessible from the library terminals. Library owns a significant number of digital resources. An institutional repository/digital library has been established to provide full text online access to library’s digital resources including electronic books, faculty research, student projects and presentations. However, you can send request to check availability of your required e-book through mentioned email address. 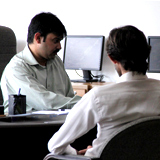 The library offers active lending services to its patrons. Borrowing privileges vary according to membership category. A smart card is necessary for making a transaction at the library circulation counter. A state-of-the-art system has been employed by the library to keep users updated with the status of their transactions through regular renewal and overdue reminders. The library is a WiFi hot spot. Patrons can use any device with a built-in wireless adaptor to avail this service. If a book or item is not available in the library, we have special arrangements to acquire them from other libraries through the Inter Library Loan service. The library does its best to facilitate its patrons in searching for relevant literature in order to support their academic and research endeavors. The library provides instructional programs to maximize its patrons’ use of library resources and services. These include orientation programmes, hands-on trainings, in-class sessions, and workshops and seminars on various instructional and research tools like Turnitin, Endnote, SPSS, and also on the use of various electronic databases. 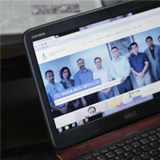 The library facilitates ITU faculty’s access to online plagiarism detection and management softwares, such as Turnitin. The library facilitates researchers, faculty and students of the university in managing their citations/bibliographies. For this purpose, we are exploiting commercial as well as free-of-cost citation management tools. These tools include End Note, Ref Works, Mendeley and Zotero. The library also provides hands-on training in effectively utilize these resources. The library has special arrangement with international document supply centers. If a journal article is not available within library holdings or online databases, the library can get it delivered electronically. The electronic document delivery service is restricted to research projects only. 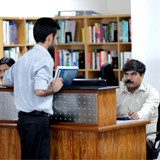 If you could not find your required electronic resource, you can write to us at: (reference.librarian@itu.edu.pk). We shall try to find your required document and respond within 24 hours. We are also pleased to share that all purchased books have been technically processed, and their data has been entered. Our automated circulation process has started. Soon an OPAC web address will be shared to enable remote access.